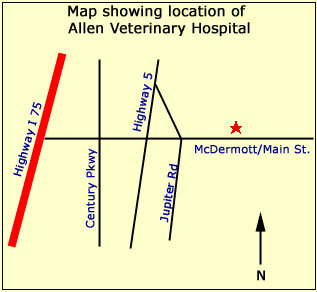 We are located off Highway I 75 in Allen, Texas. From I 75 (Central Expressway), exit McDermott, and head east. Go through 4 traffic lights. Go 1/2 mile past the last light (Jupiter Road). We are on the left, next door to Braums.